Overflowing, constantly running, and sweating toilets can be an annoyance for homeowners and renters alike. Sometimes you’ll have to call a professional plumber for a quick fix, but there are quite a few toilet problems you can fix on your own. Whether you’re on a tight budget or are a DIYer at heart, sometimes it just makes sense to roll up your sleeves and take control of the situation on your own. 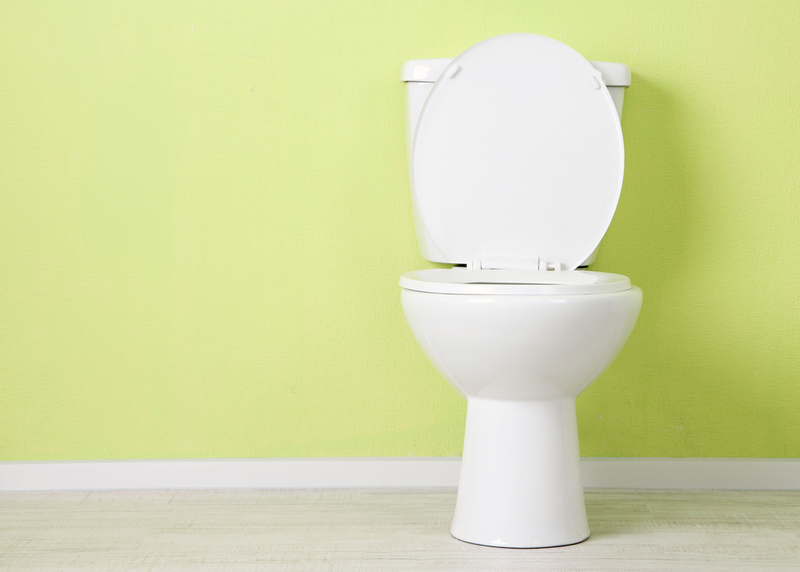 From phantom flushes to leaky seals, here are some common toilet issues and how you can fix them with your own two hands. If you hear your toilet begin to spontaneously refill in the middle of the night or when not in use, it’s not a ghost- it’s what plumbers refer to as a phantom flush. Caused by a very slow leak from the tank into the bowl, the problem is usually caused by a bad flapper or flapper seat. If you think your toilet has this problem but want to make sure, you can run a quick diagnostic test. To do so, add food dye to the tank after all the water has stopped running. Wait ten minutes and check the bowl water- if it’s colored, you do in fact have a leak. Replacing the flapper and flap seat is easy- replacements are available at most hardware stores. When purchasing a replacement be sure to take the old one with you to find a replacement that matches correctly. Also referred to as a weak flush, a bowl that empties too slowly is usually the result of clogged holes underneath the rim of the bowl. You can use oversized toothpicks or a wire coat hanger to poke gently into each flush hole to clear out any debris. Be careful not to scratch the bowl while cleaning. If the problem persists even after this cleaning, a muriatic acid wash may do the trick. Mix one part acid to 10 parts water and use a funnel to carefully pour half the solution down the overflow tube in the toilet tank. You should hear fizzing right away. Be careful of the fumes- open a window, and run the fan. Let the acid work its magic for half an hour and pour the rest of the solution down the tube. Wait another half an hour and flush the toilet. Note: if you have a septic tank, do not do this. You’ll have to disassemble the toilet completely and do this process outdoors. If your toilet is about to overflow and your usual trick of shutting the lid and crossing your fingers won’t work, there are a few things you can do. As soon as the water level starts rising, reach into the tank and prop up the fill valve (or the ball that floats on top of the water.) This should stop the flow to the toilet, avoiding an overflow but, in case it doesn’t, keep a plunger nearby. If the overflow is caused by a clog there are several tools available. A force-cup plunger is more effective than a standard plunger for cleaning minor clogs and, for serious clogs, purchase a closet auger. Insert the end into the drain hole and twist the handle as you push the rotor downward. Be sure to use caution, as scratching the bowl could leave unsightly, permanent scratches. A standard toilet has at least five seals and, unsurprisingly, each has the potential for leaking. In each case, the solution is to identify the broken seal and, depending on the level of damage, either tighten it or replace it. A break of the largest seal, located between the tank and bowl, will be the most obvious, as water will shoot out from underneath the tank with every flush. The others won’t be as noticeable, as they’re smaller. Regardless of the location or type of seal, they’re all replaced the same way. Drain the seal, remove the tank, turn the tank upside down for better access, remove the seal, and pop on a new one. In some cases, tightening the bolts or mounting nut is enough to stop the leak. Try this method first and, if the seal is still leaking, replace the seal altogether using the above steps. Whether the deep freeze of winter is right around the corner or still a couple months away, there’s no time like the present to prepare your home’s plumbing system for the cold, winter months. If you don’t prepare your home for a drop in temperature, water can freeze and break pipes, causing significant damage to the walls, ceilings, and floors of your home. At best, the damage can be inconvenient. At worst, destructive and costly. As a good preventative measure, use this checklist to prepare your home’s plumbing for the winter weather that’s right around the corner. If you currently have a leak in your home, it’s best to get the leak fixed before the first snow of the season, as even the smallest leak can turn into a huge problem when the temperatures drop. If you’re already aware of a leak, this step is easy. But if you aren’t, take a walk around the interior and exterior of your home and check for leaks or pools of water, just in case. If you wait for the water to freeze before getting the leak fixed, the damage to the surrounding pipes will be more significant. If your pipes are insulated, you can still check for leaks by feeling for any moisture that may have been soaked up. If you leave your home, set your thermostat to 65°F or higher. If you’re out of town for more than a few days, set your thermostat to 55°F or higher. While it may seem wasteful, you’ll incur much more expense repairing the damage from a burst pipe than you will on the extra heating. 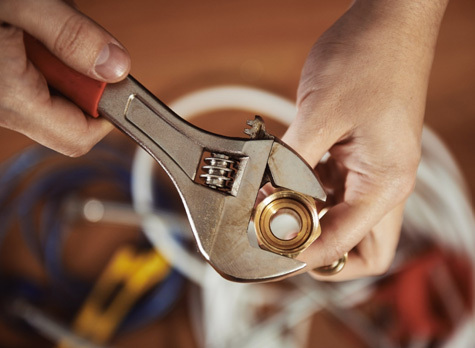 Since prevention and planning are the two key ways to protect your plumbing throughout the winter season, this preventative measure should not be skipped under any circumstances. While you’re at it, reduce the water temperature of the water heater. Chances are, you can the thermostat down a few degrees and still have enough hot water for normal day-to-day use. The pipes outside your home are exposed to the most extreme temperatures; therefore, they’re at the greatest risk for freezing. Since they’re the most susceptible to damage, extra measures should be taken to protect your exterior plumbing. You should drain the water from your sprinkler supply lines and swimming pool before the weather gets too cold, but remember: don’t pour antifreeze into the lines, as it’s dangerous to humans, animals, and landscaping. Next, disconnect garden hoses and put them into storage. Close the inside valves and open the hose bibs so the water can drain out. Then, leave them open so any remaining water can expand without breaking the pipe. For more information, learn How to Prevent Bathroom Pipes from Freezing. While outdoor pipes are more susceptible to damage, this doesn’t mean you shouldn’t pay attention to your indoor plumbing. While keeping the thermostat at 55°F is a good preventative measure, you should also add extra insulation to crawl spaces, basements, and attics, check windows and doorframes for drafts, and keep windows and air vents that are located near water pipes closed. While you’re at it, feel for drafts around the chimney case or flue and repair these as soon as possible. If the outdoor temperature is extremely cold, allow cold water to drip from the faucets to keep the line from freezing. Even if you’ve taken every precaution, it’s still possible for one or more pipes to freeze. Keep an eye out for reduced water flow, as it’s often the first sign of a frozen pipe. Check faucets before you go to bed and again in the morning to make sure the flow and water pressure have remained consistent. If a pipe appears to be frozen, you can take steps to thaw it. Thawing can be done with a hairdryer, heating pad, or a portable space heater, but use caution when operating these near standing water. If you suspect a frozen pipe but are unable to locate it or thaw it, call a plumber immediately.